Home Leisure Water load of fun at Westhorpe! 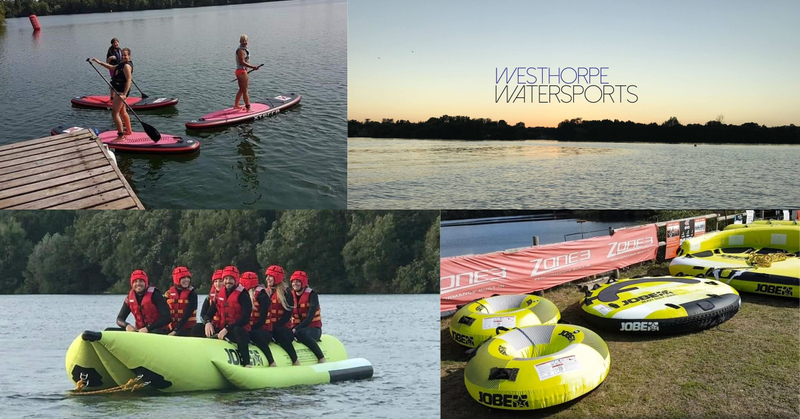 Westhorpe Watersports lake, Little Marlow is officially opening to the public for all manner of watersport fun! They are open from Easter Saturday (20th April) through until the first week of October. Ringo/disk/sofa – minimum of 2-6 people £15 pp. Banana boat – minimum 6 £40. Any extra riders (max 10 riders) £5 each. Paddle boards– £15 per hour/ per board. Boat hire including all equipment and driver £150 per hour. Book 10 hours and get 2 free! Advance booking is required for these activities, and payment will be required on booking, but there may be some “open sessions” during the school holidays. They have a fully licensed club house, and food can be arranged, with the ability to cater up to 130 people. Minimum age for activities is 6 years and need to be competent swimmers. Wetsuit rental available or included if you purchase 2 activities at the same time. They can also be booked for parties etc. Previous articleMarlow gets a Spring Clean, and a Wombles story…..